We are excited to inform you that Echelon's Board of Directors has just accepted an offer to be acquired by Adesto Technologies. Like Echelon, Adesto is a NASDAQ-listed company focused on serving the needs of the IoT market. They are a leader in providing innovative semiconductors, and their technology is used by more than 2,000 customers worldwide, including a large number of industrial focused companies. The combination of the two IoT companies will allow greater resources to be applied to developing and supporting products and solutions in this rapidly growing and dynamic market. With complementary products and a shared strategic vision, Echelon and Adesto will be in a stronger position to meet the current and future needs of customers. The acquisition is expected to close later in Q3 of this year, pending shareholder approval. 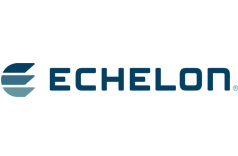 Additional information about the acquisition will be posted on the Echelon website in the coming weeks. Please contact info@echelon.com if you have any questions. We really appreciate your business, and look forward to meeting your needs in the future.